A Writing Camp at Kids 'N Dance 'N Theater Arts? YES! 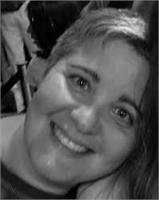 Our Fiction Writing Camp is taught by Marielle Cammarata, co-owner of Kids 'N Dance 'N Theater Arts. Previously a middle school teacher and homeschool writing workshop leader, she is excited to present a fun filled week exploring fiction writing. Together over shared pastries at World Ground's Coffee house, we start the morning with engaging springboard activities. Once creative juices are flowing, we explore making the most of well developed characters and settings. Quick exploratory writing activities blend into longer writing periods. Campers have opportunities to share and incorporate feedback and inspiration from others before returning to the studio for lunch, free time fun in the gym room and an afternoon swimming field trip. This workshop is designed for enthusiastic writers looking for an opportunity to deepen their writing skills in a supportive community. Campers should feel comfortable writing independently for extended periods of time. 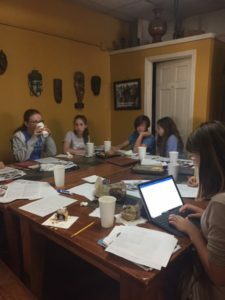 Marielle Cammarata, co-owner of Kids 'N Dance 'N Theater Arts and former middle school English teacher, dove into creative writing instruction as a workshop leader for homeschoolers. She found that her writers' enthusiasm and skills grew most by dissecting engaging examples, playing with techniques, and having multiple interactive writing experiences. At the heart of her program is a playful and encouraging community of friends that empower and motivate eachother to explore new ways to create characters, scenes and settings.